Confused? The black hole we are talking about is called the Blind Spot. You are blind at one spot in both of your eyes. This so-called blind spot is actually quite large, and it creates a hole near the center of our visual world. Don’t worry the blind spot is just the small spot in the back of the retina where the optic nerve attaches. It is at different positions in different eyes. You don’t notice the hole in your vision because your eyes work together to fill in each other’s blind spot. A blind spot or Punctum Caecum in medical literature, is the place in the retina of the eyes where there is a lack of light-detecting photoreceptor cells. It is the place which corresponds to the position of the optic disk (also known as the optic nerve head) within the retina. Because there are no cells to detect light on the optic disc, the corresponding part of the field of vision is invisible. Our brain interpolates the blind spot based on surrounding detail and information from the other eye, so we do not normally perceive the blind spot. While the size of this spot varies from individual to individual, it is actually rather huge – about 4° to 6°. The first documented observation of the phenomenon was in the 1660s by Edme Mariotte in France. 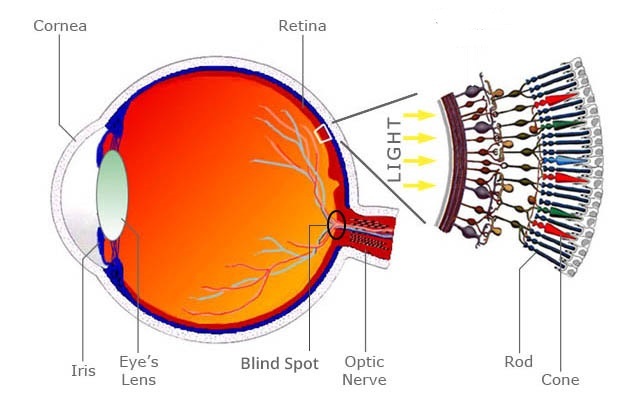 At that time it was generally thought that the point at which the optic nerve entered the eye should actually be the most sensitive portion of the retina. However, Mariotte’s discovery disproved this theory. We have the blind spot at different positions in both the eyes. So, if we have both eyes open, we should certainly not expect that we should be aware of the blind spot. The eyes actually compensate for the blind spot in the other eye by interpolating the image; this is what is called the filling-in. The Guy with the Perfect Eye! The octopus is a rare example of an animal that does not have a blind spot. 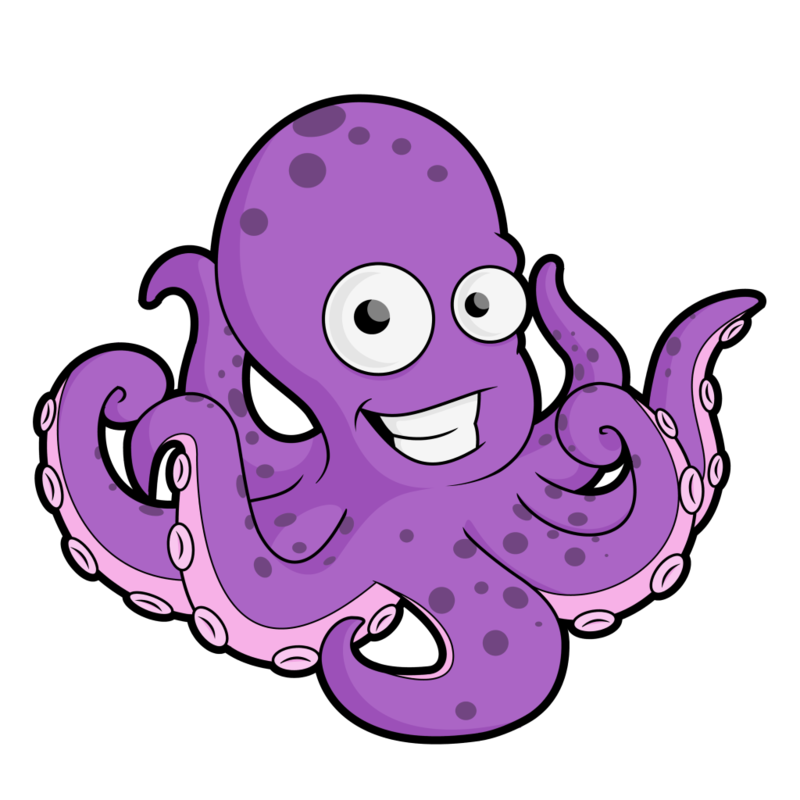 In an octopus eye, the optic nerve extends from the back of the retina instead of the front, leaving no part of the retina blocked.